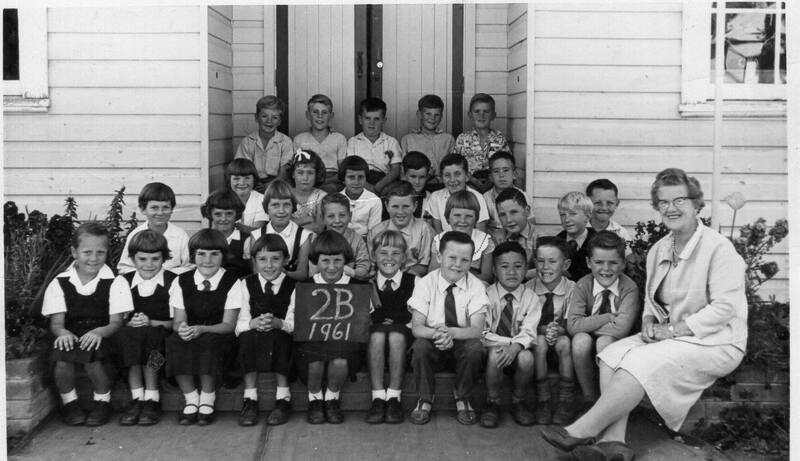 Great old school pic , can any one remember the Teachers name ?Front row Left to right. U Newman, F Parker, M Denson, Y Jones, J Crampton, K Ryan, ?, ?, R Jeffery, ? Wilkerson. Middle L to R, J Martin, C piper, ,Gordon Hang Gong, J Myers, T Rigney, S Riley, P Clark, (Everliegh), L Brumby, B McKenzie. 3rd row L to R. ? Rose, M Raisin, J Dowell, B Hodges, J Hogan, B Boyd. Top Row L to R. ? Murray, ?, B Webb, T Buckley, M Gulliford.